In the UK, a wide range of current health and safety legislation clearly sets out how tackling drug misuse is a key employer requirement for maintaining a safe working environment. UK organizations already have a general duty under the Health and Safety at Work Act 1974 to ensure, as far as is reasonably practicable, the health, safety and welfare at work of their employees. They are also required, under the Management of Health and Safety at Work Regulations 1999, to assess the risks to the health and safety of their employees. So, if an employer knowingly allows an employee under the influence of drugs or alcohol to continue working – and his or her behavior places the employee or others at risk – then that employer could be prosecuted. At the same time, employees are also required to take reasonable care of themselves and others who could be affected by what they do at work. The Transport and Works Act 1992 makes it a criminal offense for certain workers to be unfit through drugs and/or drink while working on railways, tramways and other guided transport systems. 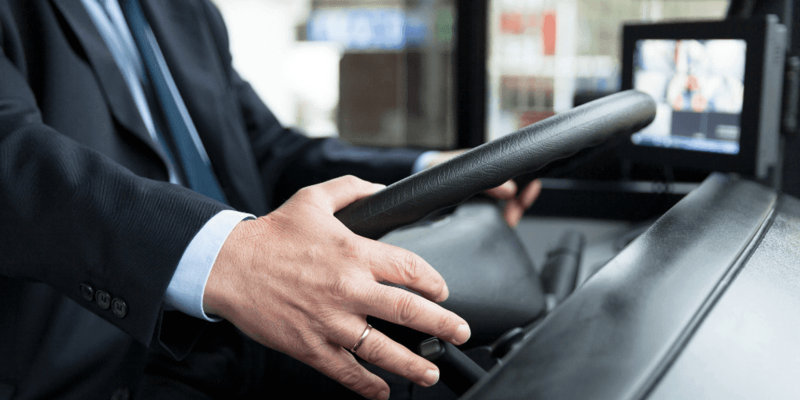 The operators of the transport system would also be guilty of an offense unless they had shown all due diligence in trying to prevent such an offense being committed. Additionally, the Road Traffic Act 1988 states that any person who, when driving or attempting to drive a motor vehicle on a road or other public place, is unfit to drive through drink or drugs shall be guilty of an offense. An offense is also committed if a person unfit through drink or drugs is in charge of a motor vehicle in the same circumstances. The principal legislation in the UK for controlling illicit drug use is the Misuse of Drugs Act 1971. Nearly all drugs with misuse and/or dependence liability are covered by it. This Act makes the production, supply and possession of these controlled drugs unlawful except in certain specified circumstances (for example, when they have been prescribed by a doctor). This means that if employers turn a blind eye to incidences of the supply of any controlled drugs, the smoking of cannabis or certain other activities taking place on its premises, then that organization could be committing an offense. Given all this long-established legislation, the Health and Safety Executive (HSE)’s Drug Misuse at Work guidance recommends that the best way to deal with employee drug use is to have a clear drug misuse policy in place that forms part of an employee’s contractual obligations. It can be hard to know where to begin when implementing or reviewing your company drug policy but our expert team can support you with this – just call or drop us a line with your inquiry or take a look at our top tips blog to help you get started. So, despite the breadth of this legislation – and the clear HSE guidance – it’s perhaps disappointing that drug misuse in the workplace is still widespread. Indeed, when Intelligent Fingerprinting commissioned research to determine UK attitudes to drug screening in the workplace, we found that more than one in ten workers across the UK have suspected a colleague of taking illegal drugs. We also noted a significant regional variation, with this figure rising to 24% in London – almost twice the national average – while workers in the North-East appeared to be far less suspicious of their colleagues at just 6%. Even though our research found that 22% suspected a colleague of taking illegal drugs while at work, they didn’t take any action to either help or confront the issue. And that’s despite 43% of people saying they worried that working alongside someone under the influence of drugs made their workplace unsafe. This disconnect highlights the worrying impact that drug misuse can have on health and safety in the workplace, especially as it not only places the safety of individual employees at risk but also contributes to the cumulative workplace accidents that – according to the Chartered Institute of Personnel and Development – end up costing the UK some £4 billion every year. This, of course, is particularly an issue in those sectors where drug misuse takes place in safety-critical working environments such as manufacturing, logistics, construction, utilities and public transport networks. Would simple drug tests in the workplace help? What was also notable from our workplace drugs misuse research was that colleagues were perhaps reluctant to act because they didn’t have the ability to offer proof that drug usage had actually taken place. At Intelligent Fingerprinting we find that employers are often frustrated by the practical challenges of implementing their drug and alcohol policy within the workplace. For example, operating a traditional drug screening service using urine tests on a construction site is rather inconvenient. That’s one of the reasons why the Information Commissioner’s Office suggests to organizations in its employment practices code that they should use the ‘least intrusive forms of testing practicable’. 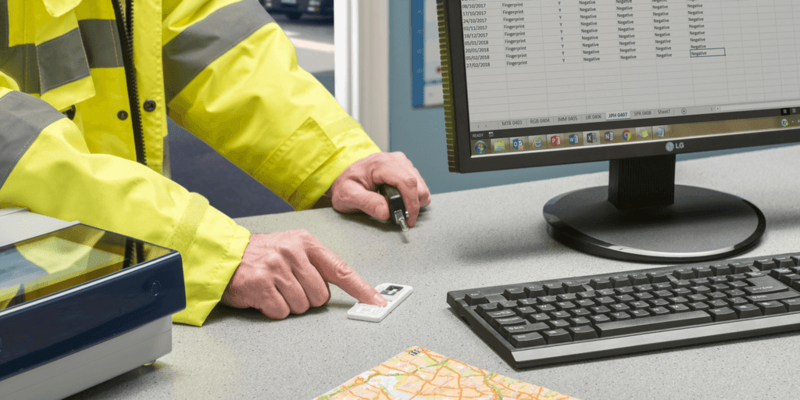 Our own fingerprint-based drug screening test has been designed to make workplace drug testing simpler and more convenient for everyone, whether you’re carrying out a test or being asked to provide a sample. The system is quick, dignified and hygienic, and it takes just five seconds to collect a fingerprint sample using our compact drug screening cartridge. Once collected, a dedicated reader is used to analyze the fingerprint sweat sample, with a positive or negative result for each drug in the test available in minutes. It’s an ideal platform for workplace drug screening, particularly given that drug testing is such a sensitive issue because of the many employment implications involved. Drug testing, of course, needs to form part of an overall drug policy – one that an organization has agreed with its employees, and that is fully in place before any testing is initiated. Samples for legally defensible drug testing also need to be collected under circumstances that respect the dignity of the individual, and records need to be kept to document that samples collected and those received by a laboratory for testing are one and the same. Should an employee’s workplace drug screen provide a positive result using our fingerprint-based test, our Fingerprint Collection Kit for Laboratory Analysis addresses these recommendations by enabling the collection and despatch of fingerprint samples for laboratory verification of the results. We work with a third-party laboratory to provide a quick and confidential confirmation service when the reassurance of an evidential test is required. It’s also worth noting, in line with current European Guidelines for Workplace Drug Testing, that positive confirmation tests may still require further interpretation. Screening by itself will never be the complete answer to workplace problems caused by drug misuse, and any results must always be supplemented by a professional assessment of the employee. But when it comes to answering critical drug screening and testing questions – such as how much will the system cost, what type of testing is needed, how will test samples be collected, and how can test samples be kept secure – there’s no doubt that fingerprint-based testing represents an increasingly attractive alternative to traditional workplace drug testing methods. Please note that this blog is directed primarily at the UK market and the Intelligent Fingerprinting Drug Screening System is currently available for forensic use only in the USA.